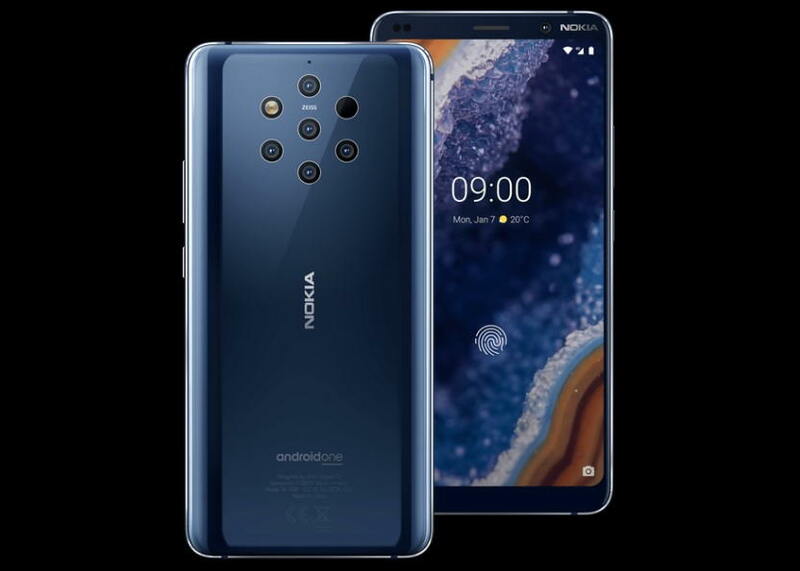 After a long wait, Nokia on Sunday finally announced its latest and also the world’s first smartphone with Five rear camera setup called the Nokia 9 PureView. As its name suggests, the Nokia 9 PureView is a camera-centric smartphone that features a stunning camera setup. The main highlights of the Nokia 9 PureView include a Five camera setup, In-display fingerprint sensor, Snapdragon 845, 2K resolution QHD+ pOLED display, wireless charging and more. Now lets quickly check out the other specifications, price, and availability of the Nokia 9 PureView. The new Nokia 9 PureView features a PureDisplay 5.99” QHD+ pOLED display with Gorilla Glass 5 protection. Out of the box, the phone comes powered by a Snapdragon 845 SoC coupled with 6GB of RAM and 128GB storage. The Phone runs on Android 9 Pie, that’s a good thing about this phone. Additionally, the Nokia 9 PureView includes a USB Type-C port and 3320 mAh battery that also comes with Qi Wireless charging support. The Nokia 9 PureView also comes with IP67 certified for water and dust resistant and NFC. The Nokia 9 PureView will be available starting from March 2019 for $699 (roughly Rs. 49,700).